Cory Luebke takes this hill this afternoon in his first start of 2011. He is looking to help the Pads take two of three from the Braves and clinch the season series in the final matchup against Atlanta. In Luebke’s last outing, he worked 3.1 innings of relief in Boston, earning a chance in the starting rotation. In 2010, Luebke made three starts in four appearances. As a starter, he went 1-1 with a 4.60 ERA (8 ER/15.2 IP). Since being selected by the Padres as the 63rd overall pick in the 2007 Draft, Luebke has made 84 minor league appearances, 74 as a starter. In his 19 minor league games (17 starts) during the 2010 campaign, he went 10-1 with a 2.68 ERA (34 ER/114.0 IP) between Double-A San Antonio and Triple-A Portland before earning a promotion to the Majors. The Padres return home this weekend for a three-game set with the Braves that marks the third meeting between the two teams this season. The two clubs have split the six games they have played so far, with each team taking two of three on the road from each other. 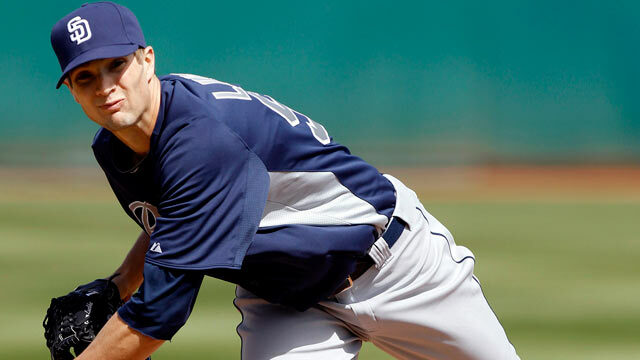 Bud Black today announced his rotation for the series, with Cory Luebke making his first start of the 2011 season after 29 relief appearances. A starter throughout his minor league career, Luebke made three starts (in four appearances) for the Padres last season. As a starter, he went 1-1 with a 4.60 ERA, earning his first Major League win on 9/8/10 vs. LAD after 6.0 shutout innings of two-hit ball.